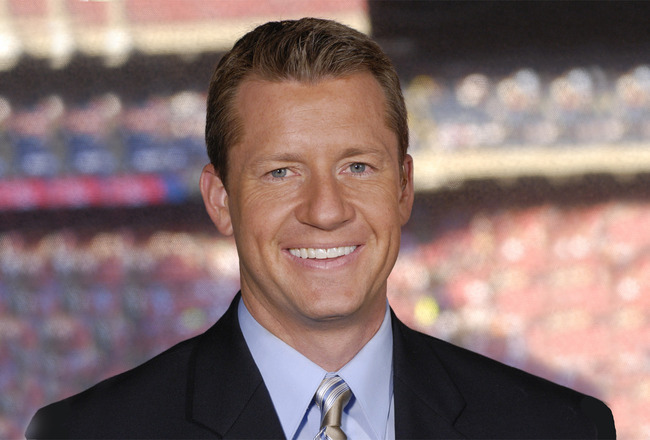 Rob Stone is a veteran of American soccer. His voice has graced many a television tuned in to American soccer. The FOX Soccer analyst was kind enough to lend his time to answer questions across a wide range of topics affecting the American game at present. His credentials speak for themselves when you consider his time with ESPN beginning in 1992 and then sustainably with ESPN from 1997 through January of 2012. Fans of Major League Soccer will remember Rob’s voice in MLS Primetime Thursday or on Soccer Saturdays. Perhaps they remember Stone quietly correcting Don Garber at the Columbus Crew’s MLS Championship. Fans of collegiate football might even remember a chili pepper incident. Stone was even the voice of Pro Bowling and Professional Darts at certain points. Ultimately though, an argument can be made that he is best known for soccer and for him, soccer is best known. Read on to find out what Stone thinks of MLS, Designated Players and the American broadcasting scene. He also takes a shot at who wins MLS Cup. MLS Reserves: Rob you’ve had the unique opportunity to view the game as an analyst and sports anchor since before Major League Soccer began. Talk about what it’s like now as you for you as you look at the on field product here in 2012. MLS Reserves: Saying that players are coming into MLS from the college game more prepared is almost in direct contrast to a few years back when we thought “you know, this next crop of players just doesn’t have it…” and then we see someone like Darrius Barnes play every minute in his first season. 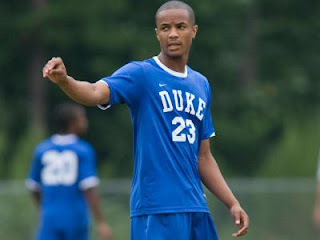 Players are now coming out of the college game able to contribute more than ever, why do you think that is? MLS Reserves: You’ve mentioned before that DP’s have a responsibility to talk to the media and many would agree. Yet multiple times this year, we’ve seen players like Thierry Henry, David Beckham and Robbie Keane blow off the media. We’ve also seen them get away with what appears to be a large amount of dissent on the field. Can you expand on your original thought and whether DPs are given too much leeway? 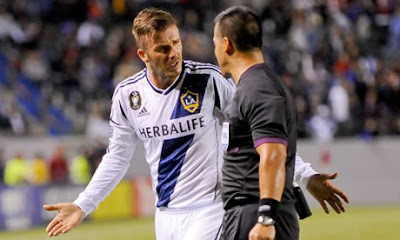 David Beckham, again upset with a call. Stone does place some of the onus on us. By us it is clear he means those who view the American game. It’s the fans who can be heard best now with social media, but Stone says it must go further than that. It must go to those directly in charge. MLS Reserves: You touched on the DP’s needing to be role models, but we see Thierry Henry obviously frustrated on the field with his squad. We hear Rafa Marquez last year talking about how he’s on another level. Is that more in the same vein as what you’re saying? MLS Reserves: Switch gears for me a bit. Talk about the challenges a broadcaster faces when covering a sport where the domestic game is sometimes ignored in favor of oversees competition. MLS Reserves: Lastly, we’ve seen a change in the spectrum of color analysts and play by play announcers is the past year. Guys like Taylor Twellman and Alexi Lalas are finding themselves alongside the accents of Ian Darke and Arlo White. Is there significance in this? Do we need to have European accents calling games to attract fans or is it just a matter of who is better? Here there is obvious frustration in Stone's voice. He's had this discussion before and his answer was ripe with passion. Without a doubt this is an issue that sticks close to home. Rob goes on to continue explaining that while he is very serious about American talent in the booth, he has the utmost respect for those European voices now. In particular he points out Warren Barton, who he has gotten to know quite well in his time at Fox. Most interestingly is that our conversation echoes the words I’ve had with guys like Allen Hopkins or Alexi Lalas. Each say that those European accents are fine and well respected but that at some point, emphasis must be put on finding an American voice to define the American game. To close out, I put Rob on the spot. MLS Reserves: It’s week ten so it’s early, but who wins MLS Cup? There you have it. Rob Stone’s veteran knowledge and wisdom says that Sporting takes it home this year. In all seriousness we thank Rob for his time. It was clear throughout the conversation how passionate he is for his craft and for the game in this country. His experiences have molded his viewpoints and after having covered the game for so long, his opinions should be taken to heart. 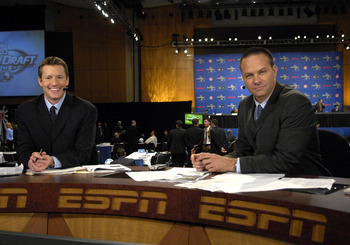 Stone now works as an analyst and anchor for Fox Soccer alongside Warren Barton and Eric Wynalda. Really good interview! I've only been following MLS since 2009 when the Sounders came in, and didn't follow anything before that. I've been playing for a while though. Having said that, what the hell rules was MLS playing with in 2003? I knew about the shootouts. But a bunch of 5 minutes period's, etc...?? I never played with rules like that in any league I played in, although I didn't play when I was a kid.